Our four-sided Cardinal display, in addition to our wall display, puts options at your fingertips. Examine different types of glass up close, test door handles, and receive insightful advice from a member of our friendly team. No longer do you simply have to imagine your dream shower, hoping what you asked for was communicated correctly. See your vision come to life in our showroom. 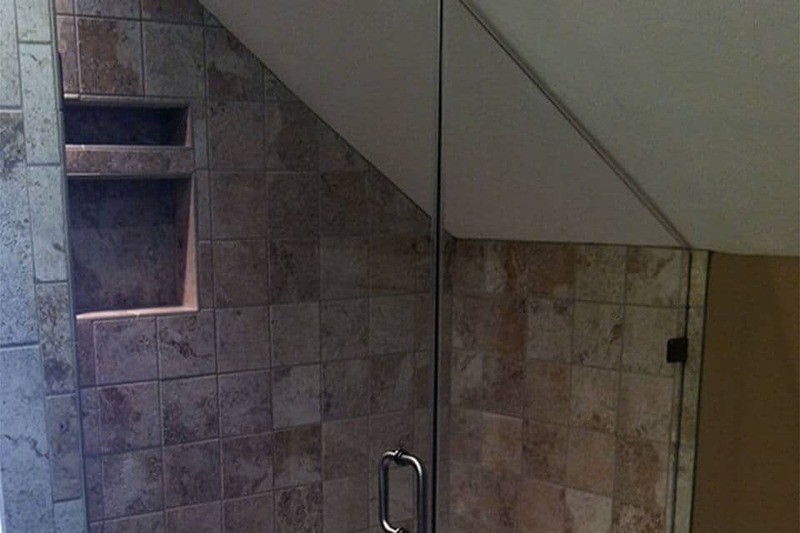 A corner shower has two glass sides and two tiled sides, while neo-angle showers have three glass panels in the front. Unsure what the right fit is for you? 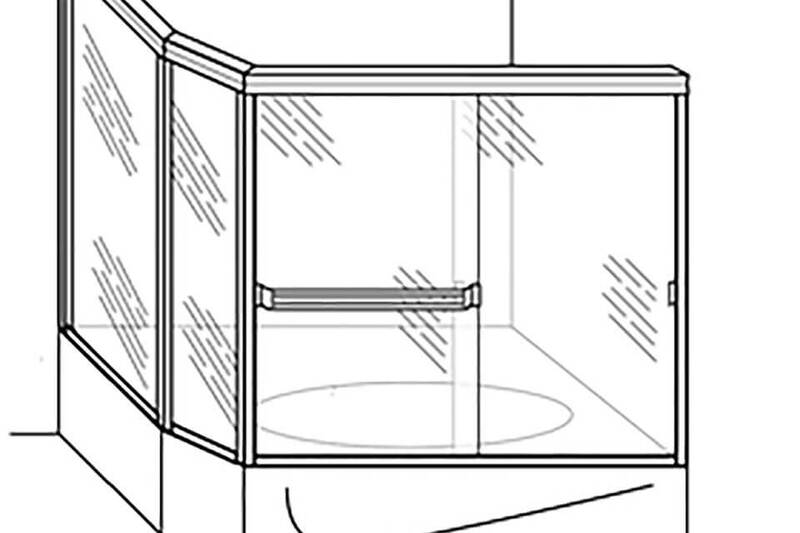 Pioneer will leverage our expertise into making a shower enclosure just for you. Designing the perfect shower enclosure requires people with inside knowledge that can answer your questions and help craft the right look for your bathroom. We'll help ensure the glass shower is a featured part of your bathroom. Our experts visit your home for exact measurements and will seamlessly install the enclosure. Prompt, complete – and clean. Our local presence guarantees personal care. No subcontractors. Simple and smooth. Pioneer can discuss your options with personalized information – or get a head start by viewing our blog on corner and neo-angle showers. We want you to know as much as possible. A more informed decision leads to a happier decision. Once the shower's installed comes time for the most important part – enjoying your shower! Meanwhile, our job isn't over yet. If you ever have any questions, we'll always be here to address them. Something not how you like it? We'll fix that. 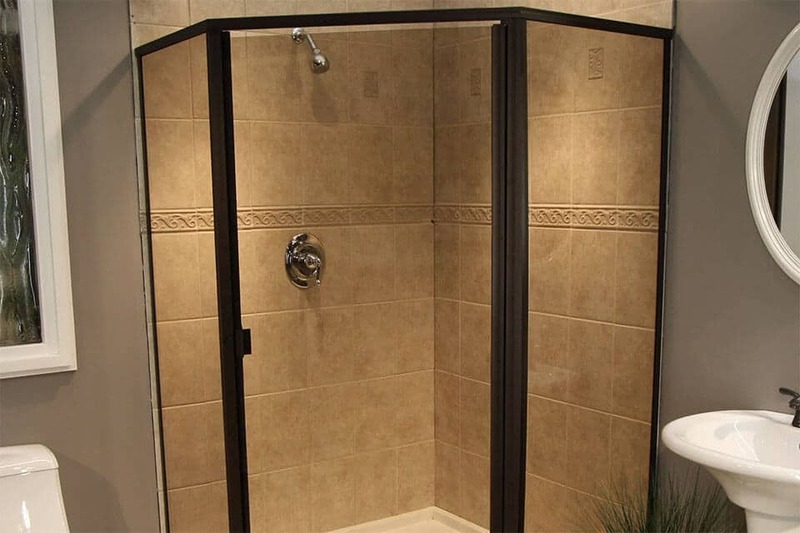 Our full shower enclosure product line is available here. Yes, there’s a lot of information. 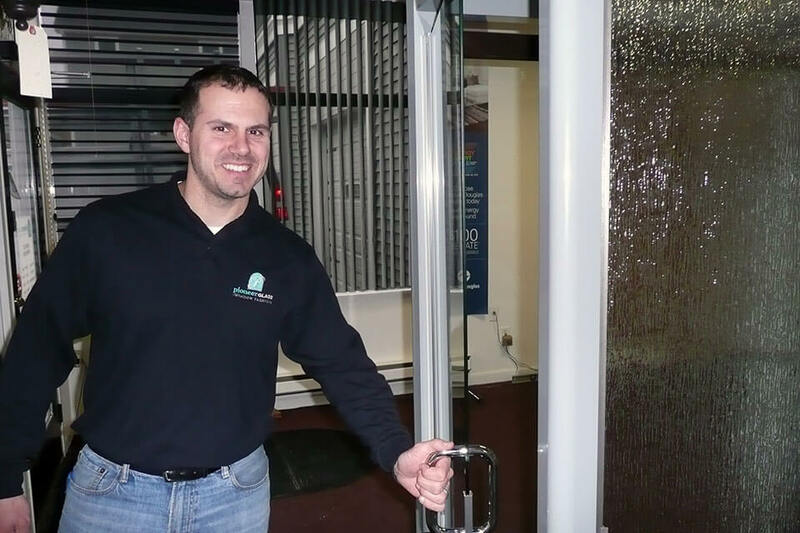 Call us or come in for us to show you samples in our showroom and assist you with your choices.